Unfortunately – my July did not involve any beaches – but boy wouldn’t that have been nice? I do love just sitting on the warm sand and listening to the waves roll in, but honestly I’m just being drawn in by the picture below… so let’s get down to what I actually did in July! Sharp Objects by Gillian Flynn – I absolutely blazed through this book; it was a quick read and was engrossing almost from the first chapter. I found so many similarities between the small town depicted in the book and the small MS town I grew up in – I could visually see so many of the characterizations and perhaps that is why this book drew me in so quickly? It’s very much Southern Gothic, even though it’s set in Missouri…which is technically the Midwest but regardless, the book was smart, intriguing and had a twist at the end that I did not see coming – it was an excellent read! Patrick Melrose by Edward St. Aubyn – I will admit I paused halfway through this one to pick up and devour Sharp Objects, but then I jumped right back in. While I will have to admit that I found the TV miniseries far more engrossing, the book is also entertaining and St. Aubyn’s way with words and his ability to turn a phrase make the book an engrossing read, even if the story does seem to ebb and flow at times. I don’t really have anything on the shelf… I’m not sure what I’ll be reading next! I’m looking for inspiration, so if you have any recommendations – I’m all ears! 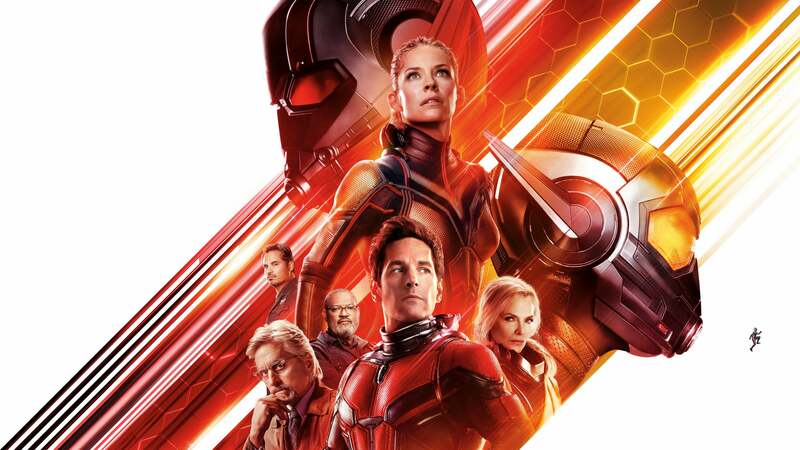 Ant-Man & the Wasp – Oh, this movie was so enjoyable! I’d watch Paul Rudd in pretty much anything and this movie injected a much needed laugh to the Marvel universe after Infinity War‘s dramatic finale! This movie was fast-paced, funny and endearing…even if the post credits scene made me want to scream a little bit! I didn’t understand the science one bit but perhaps it will all make sense when the final Avengers movie comes out? Who knows? This movie is excellent though – check it out! Mamma Mia: Here I Go Again – Who doesn’t love singing and dancing to Abba music while on a Greek island that essentially looks like paradise (spoiler – it’s actually Croatia!) I must admit the first movie had to grow on me, but I was so looking forward to this movie and enjoyed it immensely. I will say, if you are not a fan of musicals and it bothers you when people randomly burst into song – maybe let this one be – but otherwise, check it out! The performances are great, the songs are fantastic and it’s just a fun movie watch! Mission Impossible: Fallout – I’ll confess the only other MI movie I’ve seen is MI2 and I really wanted to see this because I’m ride or die for Henry Cavill (even with that mustache) – but I enjoyed this so much more than I thought I would! The action was non-stop and there were so many twists and turns, it was wildly entertaining and it made me sort of want to go back and watch the other FOUR that I’ve missed along the way. If you’re looking for a classic action movie that’s a good time at the movie – this is it! Y’all know I never skimp on the eating and July was no exception, ha-ha! We made amazing dipped oreos and pretzels for July 4th; we went to a cook-out at friend’s for July 4th and everything we ate was delicious! I had a to die for pimento and cheese grilled cheese sandwich from Hunter’s Head (I’m drooling thinking about it) and I made some amazing peanut butter magic squares! Pretzels, House Made Chips & Dips! Ice cream was a staple this month – rolled in sprinkles, flavor swirled and blackberry – it was all divine! We had amazing meals at Regions 117 and Skyland Lodge, some amazing pretzels from Macado’s and the blackberry ice cream pie from Skyland Lodge is a must have every time I visit! And don’t even get me started on the Blackberry Pulled Pork from the Blackberry Delight Festival – Yum! Mamma Mia: Here We Go Again – Oh man, I’ve been listening to a lot of these songs on repeat, alongside the soundtrack from the first film. Abba really is just very jolly and can put you in the best mood, I love listening to all these songs! I’ve also managed to work my way through all 90+ back logged episodes of Lore and my sister turned me on to another excellent podcast called Stuff You Missed in History Class, so I’ve been binging through that one as well! Nationals Baseball – I feel like; at this point, it’s time to go ahead and admit that the Nationals are most likely not going to the post season, so I’m trying to take the positives from the season and enjoy those! Max Scherzer continues to still be an absolute beast on the pitcher’s mound…and yet I still haven’t gotten to see him pitch at a game! Juan Soto’s addition to the line-up has been nothing short of fantastic and watching him play is an absolute delight! And while Harper may not be doing so great in game (*sigh*), it was really fun to watch him win the Home Run Derby! Only 7 teenagers in @MLB history have hit 10+ HRs in a single season. I’m going to two games (at least) in August, so maybe I’ll get to see Max Scherzer throw some fire… who knows? I’ll be attending the Anthony Rendon bobble head game on the 3rd and Game of Thrones Night at Nationals Park with my friend Danielle mid-month. It should be fun! I honestly don’t have anything else planned for the month of August – I have some Bible study meetings, ladies group meetings and a dinner with a friend here and there, but nothing major on the calendar. So August is wide open you guys! I feel like it’s a little too soon to say I’m looking forward to Autumn? Ha-ha! That’s all she wrote for the month of July – I cannot believe tomorrow is August 1st! 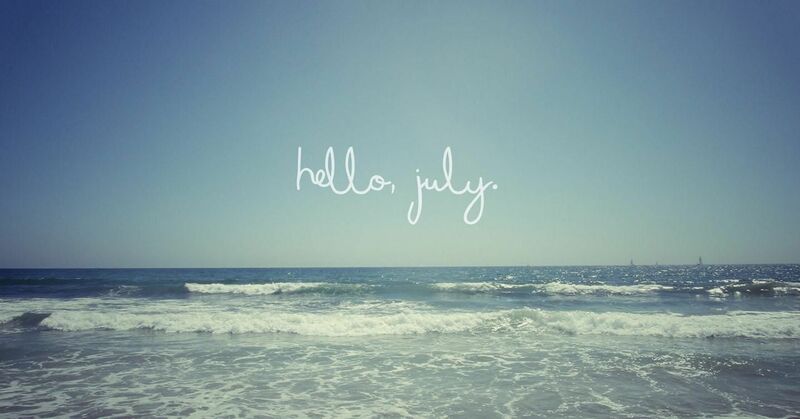 Well – there are two days left in July – just TWO! Where in the world has this month gone? I feel like I talk too frequently about how quickly time passes but I always remain astounded by how time seems to fly…and here we are, staring down the barrel of August and the final five months of 2018! What in the world?!? I can at least say I passed the last weekend of July living well – and I suppose if you just try to live each day to it’s fullest and best, then what else can you do? Right? Friday night after work (which ended early – hallelujah!) I watched some Shark Week programming (naturally) and then we headed to Regions 117 for dinner – a spot that never disappoints with the delicious food! The weather was pretty temperate this weekend and so we were able to dine on the huge deck on the back of Regions 117 with a view of the lake and the awesome summer breeze, so once dinner was over we sat on one of the giant pallet swings for a bit and then walked down by the lake for just a minute… before driving home, seeing no less than 4-5 deer on the way (we only live like… 2 miles from Regions 117). I passed the rest of the evening watching the Nationals game, some Shark Week programming and made several trips out on to the deck to peruse the night sky and check out Mars – which is currently as bright as it will be for the next 50+ years. Watson watched the baseball game with me…at least, that’s what I like to tell myself, and after a little couch surfing, I got into bed much earlier than usual on Friday night – but hey, I do love the sleep. Saturday morning was a bit earlier than normal – we wanted to go see Great Falls National Park and everything we’d read said to arrive early because the 600 spot parking lot fills up quickly, so we took that to heart and after some coffee, we headed out around 8:30 for Great Falls. Great Falls is located just about twenty minutes from the nation’s capital but it feels like a world away; an area in nature heaped in history, where the Potomac River builds speed and crashes over rock formations to create what is now known as Great Falls. I will admit – before moving to the Northern Virginia area, I’d visited DC several times and I honestly never knew this place existed. I happened to catch an Instagram post shortly after I moved to Virginia and it’s been on my list of places to see ever since. I’m not sure why it took 4+ years, but I suppose that would be because…well, life. We arrived around 10:00 and waited just a few minutes before entering the parking lot and making our way to the Visitor’s Center. We shortly perused the Visitor’s Center and then headed along the pathway where three overlooks are – the pictures above were all taken at the first overlook, which is almost right on top of the falls and provides a very up close look. The other two overlooks were spaced farther down the falls and of course, the farther from the falls you got – the wider the view of the falls. Due to the rainfall that has been near constant over the past few weeks, the water was absolutely raging! There were people everywhere – granted the weather on Saturday was gorgeous and was one of the first sunny days we’ve had in a while, so all the people out and about taking in the falls made perfect sense. The currents around the falls are pretty intense, so there is no wading into the water – they have approximately seven drownings a year due to people who don’t heed the warning and try to wade into the river. Yikes! The Patowmack Canal Company was created in 1785 and charged with creating a series of locks to move boats up and down the 80 feet that the river drops in the mile that constitutes the Great Falls area. A town called Matildaville even popped up near the canal and was home to numerous homes, a grist mill, a saw mill, a Superintendent’s house, a market, a foundry, an inn, an icehouse and boarding houses – so, a proper town. Thousands of boats locked through the Patowmack Canal but unfortunately, the cost of running such an operation became it’s downfall and in 1828, the Patowmack Canal finished it’s work and was transferred to the newly created Chesapeake and Ohio Canal Company. A lock on the canal. The foundation of a house in Matildaville. After we viewed the falls from each of the outlooks, we followed a path that led through the woods and along the remains of the locks built as part of the Patowmack Canal and even passed by some of the ruins of Matildaville – the town was tied to the fate of the canal and only lasted a couple years after the canal ended it’s business. There were numerous trails and I feel like there was still so much more to see at Great Falls – so I hope to return at some point and see more. If you plan to go to visit Great Falls – I cannot stress enough how important it is to arrive early! When we left around 12:05, the line to enter the park was backed up all the way to the road – at least a mile, if not longer. The 600 parking spots fill up fast and once they’re full, you’re left to wait in line and wait your turn. There is so much to see and do here – and there is even a Maryland side to the falls, so it’s well worth a visit! We made our way to Dulles Town Center and had a late lunch at the Cheesecake Factory – always delicious and of course, we got cheesecake! I mean – I feel that if you’re eating at the Cheesecake Factory you have to get cheesecake – it’s just a part of the dining experience. We also perused World Market a bit before heading home, where everyone just kind of lazed around a bit before we headed to the Alamo Drafthouse to see Mission Impossible: Fallout – which was really good! Our final stop of the evening was at Newtown Creamery where I got the most amazing Mint Chocolate Chip and Oreo swirl cone – so many sweets, but hey – maybe calories don’t count on the weekend? Ha! Sunday dawned less bright and early than Saturday – which is always nice! I had my coffee and Fruity Pebbles, headed to church and met up with my friend Jennie for the service. I watched a little Shark Week before meeting a former coworker and friend, Joshua for lunch – we caught up over the course of two hours and had a wonderful time. The rest of the evening was passed just doing a lot of random things – as Sundays usually are – cleaning up, planning for the week ahead, watching an episode of A Series of Unfortunate Events, reading a bit, watching HGTV and taking that all important bubble bath. Another weekend in the books! Memories made, new places visited and fun had – I can’t wait to see what these August weekends ahead have in store! It’s Friday again and I think this week just passed in a blur – seriously y’all, I feel like my head is spinning with the realization that not only is this whole week over but this is the LAST weekend in July! My friend Danielle sent me a meme (below as lucky number 4) that perfectly sums up my feelings on how past this year is passing! One. Norfolk Adventures – My week started off normal enough but as soon as I got home from work on Monday, I joined my parents for a drive down to Norfolk to meet up with my younger sister before she goes on another AF funded “vacation” for the next four months. After multiple flight delays and a cancellation changed her arrival from late Monday night to early Tuesday morning, we stopped to grab dinner at Park Lane Tavern before arriving at the hotel in Norfolk around 9:30. Another angle on the art! I got in some Shark Week viewing at the hotel and on Tuesday morning we grabbed breakfast before making our way to the airport to pick up our cargo. The Norfolk International Airport is small but really nice and luckily enough, all the cancellations and delays didn’t keep my little sister’s bags from arriving perfectly on time! Two. Freemason Abbey – We had lunch on Tuesday at Freemason Abbey, a restaurant that is inside a 144 year-old renovated church in the heart of downtown Norfolk. The building was built and christened as a church in 1873 by the congregation of the Second Presbyterian Church, became the home of First Church of Christ Scientist in 1902 and became the meeting hall for the Independent Order of the Odd Fellows (yeah – I don’t even know…) in 1948. I spy – cathedral trusses! Stained glass & reworked rose window. The renovation from church to restaurant began in 1988 and the removal of two false ceilings revealed the soaring cathedral trusses – you can glimpse them in one of the pictures above. The windows were restored but alas – the bell from the bell tower was no more. The food was yummy and the atmosphere was incredibly interesting, if you’re ever in Norfolk and looking for a unique dining location, check out Freemason Abbey! Three. Virginia Beach – It rained all day Tuesday; it’s actually rained almost all week, it started on Sunday and continued until Wednesday night…off and on. We stopped in at the outlet shops in Norfolk for about an hour, where I ended up grabbing a tee on sale for $5 from the Gap Outlet and an amazing cardigan from Banana Republic on sale for half off – originally $54 but I only paid $29! Yes! I tried to link but no such luck…. Fail at a Neptune selfie! We drove down to Virginia Beach (only about a 15 minute drive) with our fingers crossed that it would stop raining and we might be able to peruse the beach a little bit, but no such luck. I jumped out just long enough to snap a couple pictures of Neptune on the beach and one brief photo of the waves rolling in rather angrily… and then, that was that. We headed back to Norfolk, had dinner with my sister and then said our “see you later”s before heading home. Whoosh! Four. Where Has This Year Gone – I mentioned above but holy cow guys, this is the last weekend in July! There is literally one month of summer left and then Autumn will be upon us – and I cannot believe it. Granted, September – December are kind of the months of every year that I live for and I will welcome them with open arms, but how have these seven months gone by so fast? Does anyone else feel like they blinked and the year is more than halfway over? I know I certainly do… wow. Five. Perfectly Posh Sale & Posh the People – Y’all know I have to talk up my side hustle here on my blog just a little bit! Perfectly Posh is having a sale on retired favorites, now being offered for a discounted price…but only while supplies last! There are several awesome products on sale – but then – I’m inclined to think pretty much everything that Perfectly Posh offers is awesome! If you’ve ever thought about checking out Perfectly Posh – now it a great time, not just because so many items are on sale but Posh is doing a promotion right now called Posh the People. If you create a Perks account and place an order of $25 (or more) you can choose a free product! The products that are available and the code to get a free product are below! Happy weekend you guys – I hope everyone has a wonderful weekend and it doesn’t fly by too quickly! I’ve probably shared all these photos over the last few weeks – but I wanted to share them again. They are some of my favorites of Watson from the past few weeks and each one just shows a part of the varied aspects of his personality! Friday night was taken up with getting a burger at Five Guys (still my favorite burger and fries, no question) and going to see Mamma Mia: Here We Go Again, on opening night no less. My Mom and I popped into Hallmark before the movie and they drew me in with limited edition ornaments of Cogsworth and The Wasp – I purchased a Lumiere ornament and an Ant-Man ornament a few weeks ago during ornament premiere and was thrilled to see a Cogsworth…and when I was told it was the last of it’s kind, well I had to get it. And I figured since The Wasp was the same – I might as well get that ornament too. Saturday morning was fairly slow – I had coffee and English muffins for breakfast and after some new furniture was delivered, we all got ready and headed into the National Park for Blackberry Delight; an annual festival celebrating all things blackberry in the National Park. I had Blackberry Pulled Pork BBQ with a Blackberry BBQ Sauce – and it was delicious! I chose a scoop of the blackberry ice cream from among the blackberry desserts that were offered; there was a line to wait for Blackberry Cobbler and well, that’s not really my thing so I grabbed my ice cream and sat down to enjoy it in peace. The weather was less than spectacular, the fog rolled off the trees and down the mountainside like something alive – it was wild. Happily, shortly before we were done eating the sun came out and we were able to see some beautiful views from the mountaintop. I’d like a window like that one in a house perched on a mountainside – wouldn’t you? We were able to tour the Masanutten cabin that has been recreated to resemble a historic property from the creation of the resort that once sat on the mountaintop, long before the National Park had stepped in and taken over the running of the park. All around the cabin were gorgeous yellow flowers in bloom and of course, the amazing views – so pictures had to be taken. We headed down the mountain and stopped in Luray to peruse a shop – but ya’ll, let me confess that something came over me – I’m not sure if the sinus medicine I’d taken (hours earlier) was hitting me or the sinus mess was taking hold… I’m not sure, but I ended up deciding to sleep in the car while my parents perused shops and I honestly fell fast asleep and didn’t even realize that a full half hour passed. Oops. Saturday afternoon and evening was a gloomy foray into evening – it started raining around 4:00 and just absolutely poured for the rest of the evening. Yuck. Watson chowed down on a peanut butter treat that my Dad purchased for him, I made a pizza run for dinner and managed not to get completely drenched… we had pizza for supper and I introduced my parent’s to The Man in the High Castle – the word is still out on whether or not they’ll keep watching it. I have next to nothing to report for Sunday – I barely left the house because I woke up just feeling a bit crummy and so I decided to stay at home. I ended up taking a shower and then taking medicine and a nap – riveting stuff, I know. After a late lunch, I made a Wal-Mart run with my Mom and then discovered my TV has Netflix capabilities – which just blew my mind. Shark Week started yesterday and I made sure to catch the new programs on Sunday night before throwing together some clothes into a small suitcase for our quick jaunt to Norfolk this week – and then, I went to bed! Not exactly a riveting weekend – to be sure – but this week ahead just feels like it’s filled with a million things. My family is headed to Norfolk (a 4 hour drive) this evening to see my younger sister off as she deploys… and then we’ll be driving back home tomorrow evening (another 4 hours). Wednesday is empty and then on Thursday, I’ll be going to see Mamma Mia with my ladies group from church at Shenandoah University. I’ll be happy to see Friday – but then – that’s always the case, isn’t it? I’m excited about all these things – don’t get me wrong – I’m just saying, this week won’t exactly be calm and quiet. One. Harper Wins the Home Run Derby – The All Star Game was in DC this year and while I didn’t have tickets to any of the festivities, you can be sure I watched them! Bryce Harper has said year after year that he’d only participate in the Home Run Derby again when it was held in DC – and he stayed true to that promise and competed this year – and HE WON! I watched the full 2.5+ hours of the Home Run Derby and watched the final round especially with baited breath – Kyle Schwarber was an absolute beast and hit 18 homers, so Harp needed at least 19 to win! It was nerve wracking, but in the best way possible and that final blast to win was amazing! Please enjoy the picture of me below watching with all kinds of anxiety, ha-ha! Two. 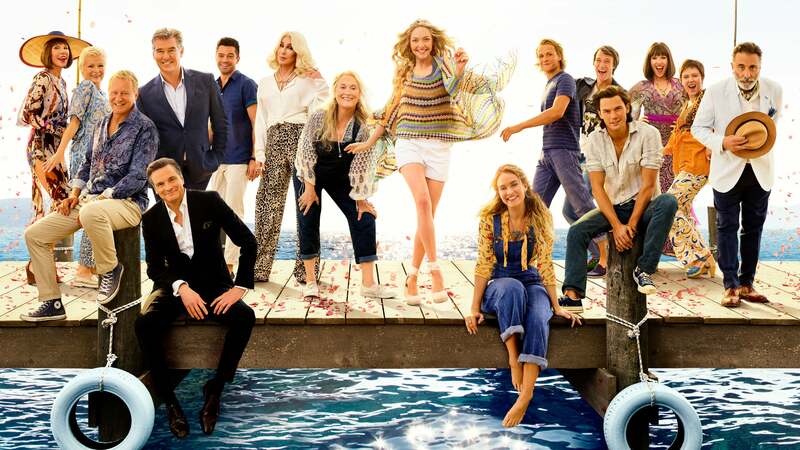 Mamma Mia: Here We Go Again – I remember that when I saw the original movie I didn’t love it that much…although I cannot honestly say why, because it’s just a lovely feel good movie. Granted, I was ten years younger and maybe a little bit more of a punk, ha-ha! So tonight I’m going to see the follow up to the original – which somehow manages to be a prequel and a sequel. I’m sure it will be delightful. Three. Sweet Puppy Cuddles – My little pup was feeling especially loving on Thursday when I got home and there is just nothing like some snuggling with your puppy to really make your afternoon. Watson seems to get more cuddly as he gets older and while I don’t love that he’s getting older, I do love that he is so cuddly! Four. Perfectly Posh Galaxy Collection – A new line of products is coming to Perfectly Posh tonight and it’s all galaxy themed! The new items will be dropping on the web site at 8:00 (mountain time) tonight and I cannot wait for everyone to see the awesome new pampering products! Five. Nationals Baseball – The second half of the season starts tonight with the Nationals behind Stephen Strasburg and facing off against a formidable Atlanta Braves team. The Nationals ended the first half of the season with a record of 48-48, a perfectly even .500 average – which is not really that perfect. Oops! I’m hoping that with the return of Stephen to the pitching rotation and perhaps some renewed energy after the All-Star Break, maybe we can begin the climb towards the top of the standings and be the team I know we can! Here’s hoping! Let’s go Nats! Y’all have a nice weekend and I’ll see you back here soon! When you just know that if you wait very patiently – maybe – just maybe – that a bite of ice cream will be yours!